The procurement called for 312 SRAAMs for a total cost of P 2,636,637,612 which at the exchange rate of USD 1 = P 45 (used in the FA-50 transaction) would be equivalent to USD 58,591,947. Unit price will be at P 8,450,761 or USD 187,795. The transaction will be made thru direct contracting, and a note for October 2013 read, “… reviewed lot one (1) (Aim 9L/I-1) that focused on conditions of the contract …”. 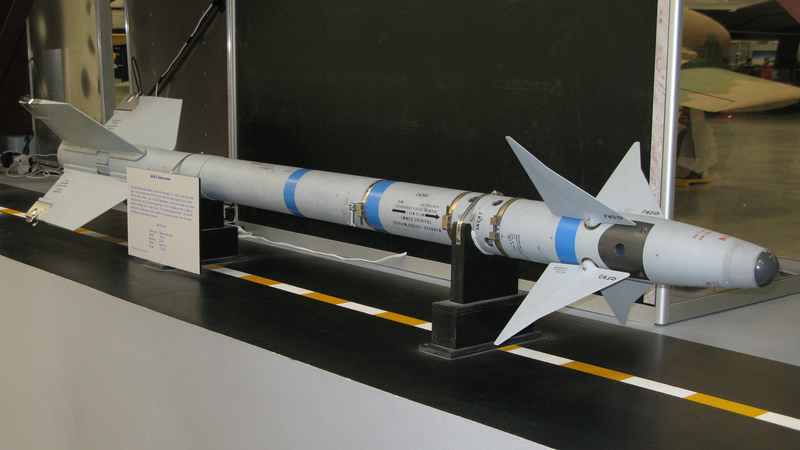 So it seems that the procured SRAAM will be for the AIM-9L/I-1 Sidewinder. This procurement is very significant for the PAF it will be the first time in FIFTY-ONE YEARS that the PAF will be buying SRAAMs. The last time that our country bought such missiles was way, way back in 1962 when the PAF acquired 150 AIM-9B Sidewinder missiles for our F-86 Sabre and F-5A Freedom Fighter aircraft back then.2 It is almost unimaginable to think that it took us more than five decades to buy new SRAAMs for our fighter aircraft. The quantity of 312 pieces being procured seems to be a bit on the high side as as we will only have twelve FA-50s that I know we will be buying, and if you arm them with the maximum of six missiles per aircraft you would only need 72. Even if you factor in some of the other aircraft in our inventory that could carry the Sidewinders like the three AS-211 (can carry a maximum of four each) that are in flyable condition; The five F-5A Freedom Fighters (can carry a maximum of six each) that are in storage; Or the six Close Air Support (probably can carry a maximum of two each) Aircraft that will be bought, and factor in an additional 50% spares for all aircraft, the quantity needed will only be 189, way below the 312 we are buying. I suspect, though, that the PAF is simply stocking up on weapons as they don’t know when the next SRAAM procurement will be as military procurements do vary greatly depending on who is the President in Malacanang. When Gloria Arroyo was President, very little major military procurements were made during her ten years in office, and it is only under President Noynoy Aquino’s term that the AFP Modernization is taking off and so many procurements are being made. Since we don’t know who the next President will be and how he or she will handle the AFP Modernization Program, then perhaps it is a good policy to buy whatever we can right now when we can. Remember that the last SRAAM acquisition was over 50 years ago, and I just hope that the next SRAAM buy will not be in another 50 years. The version that the PAF seems to be planning to acquire is the “AIM-9L” or affectionately known as the “Lima” version, alluding to the fact that it is the “L” version and that the phonetic alphabet name for “L” is “Lima”. It first entered service in 1977, and is the first “all-aspect” version of the Sidewinder, with “all-aspect” meaning it could home in on targets from all angles due to its more sensitive Infra Red Seeker, unlike previous Sidewinder versions which could only be launched from behind enemy aircraft. The Lima has seen a lot of combat action and has proven to be very, very deadly over the years, scoring lots of kills in various places like the Gulf of Sidra in Libya, the Bekaa Valley in Lebanon and in the Falklands Islands. 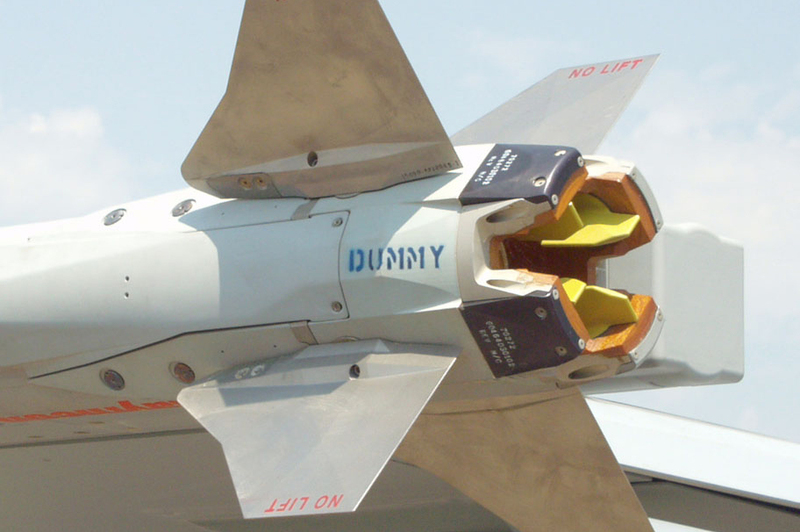 The specific AIM-9L/I-1 version is the improved version of the Lima with upgraded Infra Red Counter-Counter Measures (IRCCM),4 making it more resistant to decoys and reportedly making it the rough equivalent of the AIM-9M (or “Mike“). 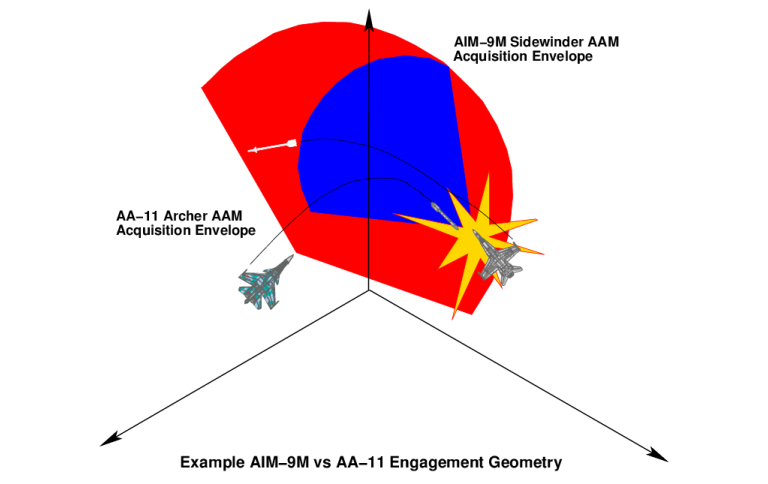 This means that the AIM-9L/I-1 is approximately the next version just after the latest Sidewinder version which is the AIM-9X. My main reservation about this possible Lima Sidewinder acquisition is the fact that it is NOT a High Off-Boresight Missile (HOBM) which is the latest standard nowadays for SRAAMs. An HOBM means a missile that can lock on to a target at a high angle away from the direction of travel of the launching aircraft, and then home in on the enemy using extremely high maneuverability. This offers a SIGNIFICANT advantage during Within Visual Range (WVR) combat as it enables the missile to lock on to a target at an earlier opportunity than it otherwise would have. A good technical discussion of this can be found at the “Air Power Australia” website under an article titled, “Fourth Generation AAMs – The Rafael Python 4“. The Chinese are using the Vympel R-73 or AA-11 Archer HOBM on their SU-30MKK aircraft and that would give them a significant advantage against our FA-50s with its non-HOBM AIM-9Ls, and would negate the FA-50s projected advantage in maneuverability in WVR combat as discussed in my previous blog, “The FA-50 Golden Eagle versus the SU-30MKK/MK2 Flanker-G“. The information is clear, no AMRAAMs for now, and choices for air to air missiles for the FA-50 is LIMITED only to the Sidewinder versions BEFORE the AIM-9X. More weapons could be integrated into the Fighting Eagle in time, but that could take YEARS to be completed and the PAF could not wait that long before buying missiles for it to use, hence probably the decision to try and buy these Limas. Ideally, we should be arming the FA-50s and their pilots with HOBMs, but the issue of compatibility is hampering the PAF’s efforts to do so. Despite their shortcomings, these Limas are what the FA-50s can use at the moment, and while they are a “little bit” behind in the latest SRAAM technology, they can still offer the Fighting Eagle some sort of a somewhat credible self-defense capability. I just hope that as time goes by the issues of compatibility will be fixed and that our economy will improve enough to enable us to buy better weapons for these aircraft, and that our next President will take care of the AFP Modernization just as PNoy had. I can’t help but reflect over the fact that when we bought the AIM-9B in 1962, it was a state of the art weapon back then, at the cutting edge of technology, being the first operational version of the Sidewinder. Now we are hard-pressed to buy its latest version, the AIM-9X, due to one reason or the other. In an indirect way it shows how far our economic stature has gone down during the last five decades. On a side note, the Philippine Army (PA) had expressed interest in buying the SPyDer Surface to Air Missile (SAM)11 system which uses the HOBM Python 5 and medium range Derby air to air missile modified for ground use. If the PA does push thru with buying the SPyDer while the PAF goes along with the AIM-9L/I-1, then we would have an amusing situation wherein our ground forces will have better anti-aircraft missiles than our air force just because of that compatibility issue. (2) January 3, 2014: Purged the names “Golden Eagle” and “Geagle” from the blog as KAI recently come up with the official name for the FA-50 which is the “Fighting Eagle”; Updated information on AIM-9L/I-1 to reflect it as the rough equivalent to the AIM-9M; Updated Footnotes to the latest standard. well, that’s all we can afford the AIM-9L for the FA-50. 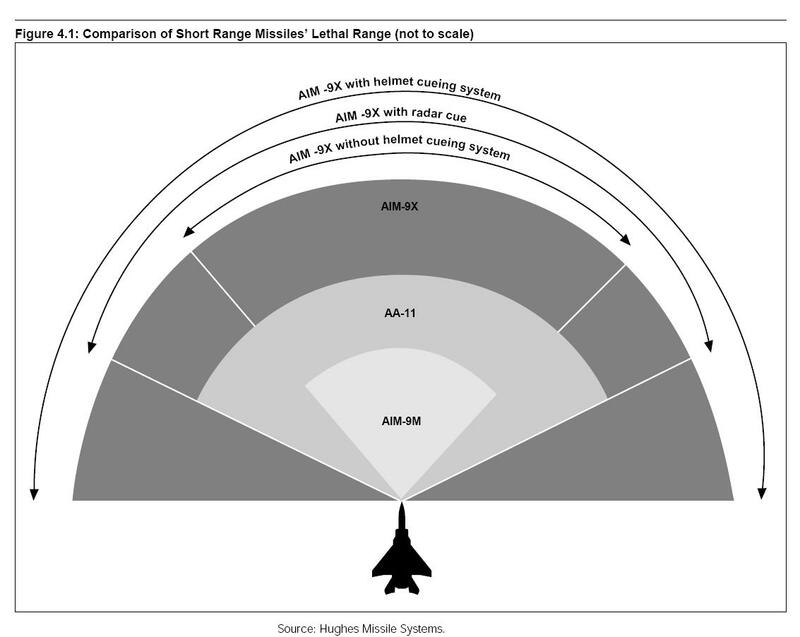 now we know the FA-50 as of this time cannot carry the AIM120-AMRAAM or will never well. and we must not speculate that the FA-50 can carry weapons as advertised. but knowingly the FA-50 is only a replacement of the F-5E as a light fighter then we can speculate its basic weapon is only the 20mm cannon and the AIM-9’s. but for me, its better we have the FA-50 rather zero fighters. if the program for the FA-50 is already settled, govt. must be aggressive of pursuing MRF transaction. cause every time we seat on the MRF matter, we lost a lot of time and opportunity specially now we been hit by a number of calamities which all budgets are prioritize with rebuilding and relocation. With no Helmet Mounted Display, no High Off Boresight Missile and no Medium Range Missiles, then the Geagle is really nothing more than a Lead In Fighter Trainer with Secondary Attack capability. Remember the Purpose of FA-50 and the program which is aimed for the procurement of Lead in Trainer/Advance Jet Trainer (AJT). Right? they does have a secondary function which has a light combat capability. Money wise for PH Government SRAAM procurement selecting an item that has a lot more bang for its budget. AIM-9L can still bite the dust and remember AIM-9L does also have a significant similarities with “M” Mike version and does have an existing AIM-9L upgraded version which may Raytheon enter to do its job. and naming SPYDER MDS as one of the possible candidates. Philippines Air Force must have first the Ground Radars to support the MDS. FA-50 also , still under development for Israeli weapons integration which is currently underway as of 2013 plus source code modification and FA-50 has still plenty of room to grow with a clearance growth of 30-40% according to the according to KAI official. Like I said before, The Giggle er Geagle is a trainer with inferior fighting capabilities. With inferior design you can only use inferior weapons and with inferior weapons ,you get lackluster performance. The PhAF should have opted for a real fighter and not a trainer. It’s a waste of badly needed money. They wanted C-130s instead of FA50s so that they can borrow these planes for their own personal sorties to places around the country specially during election time and so called “in aid of legislation” crap which is actually in aid for their own personal agendas. I remember this biazon said before that the Air Force buy helos instead of fighters he is nuuuttzzz!!!! I can understand Nancy Binay saying such things because of ignorance, but I am disappointed to hear the same thing from a military man like Biazon. Ano kaya nangyari sa taong iyan? The RKOF will be retiring its F-5 jets starting in 2014 (they have hundreds of them still serviceable)? And the way i look at it, my hunch, the fighter planes would be acquired by the Philippine air force at a very cheap price (or soft loan), and this is the reason why we are buying alot of AIM 9, probably the Korean government inserted this as part of the FA 50 package deal. This maybe one of the reasons why the PAF purchased the FA 50 instead of the KFir block 60 despite the big price difference. Ideally, this would be a good idea, but the Philippines always had a bad track record of maintaining old aircraft. As I mentioned in my blog about the Kfir Block 60, 2nd hand aircraft require more frequent parts replacement, something which our very slow procurement system is able to cope up with. For example: During the time of Fidel Ramos in the mid 1990s, we bought 15 F-5A Freedom Fighters from South Korea and Jordan. ALL were retired from active service only 10 years later in 2005. Hence, for 2nd hand aircraft, we just can’t maintain them in flying condition. I think the PAF would gamble again (are we that stubborn or just trying to be prepared), hoping that we could use them for another decade or more, as in adding second line air defense fleet (sort of as a back up or add on in case tension arises), while waiting for the real MRF to arrive. (Note the US defense dept mentioned that the PAF needs at least 48 fighter jets as a minimum deterent force). Next, I maybe wrong but I think the FA 50 is capable of carrying AIM 120 or the likes of it. I mean, the F 5 jet according to yahoo wikepedia could carry the AIM 120, if such is the case then how come the “replacement version- newer version of more than 30 years” FA 50 could not carry such or would take a lot of time to upgrade it so that it could carry such ordnance? It makes no sense. The KIA intends to export such warplanes, and for it to be more marketable it will really arm the plane well. And next the AFP mentioned that they are looking for a plane that is capable of carrying medium range surface to air missiles. Maybe the KIA is just keeping the planes potential or accurate details in a cloud of secrecy or away from public scrutiny, that may add sense to me, (for security measure). As far as I know from the official sources, the FA-50 cannot carry AIM-120 AMRAAMs as of now. There are plans for it to do so, but no timetable yet when that will happen. As to why the FA-50s are not certified to carry the AMRAAMs yet, we can only speculate at this point. Remember that this is South Korea’s first locally designed aircraft, and there may be technical hurdles they needed to overcome before certifying it with more weapons. Yes, it is based on the F-16, but it is a smaller version of the F-16 with a less powerful engine, hence many if not all parts had to be redesigned by KAI themselves. Another possible reason is that it is part of restrictions agreed upon with the owner of the original F-16 design, Lockheed Corporation. Restrictions could’ve been placed to ensure that the FA-50 will not directly compete with the F-16 in the international market. But again, this is just speculation. I hope sir you could create your own facebook account, I mean I really enjoy reading your article/s just like those posted in Max defense News and Philippine defense News. People would really appreciate and benefit a lot if you could make your writings more accessible to the public. (its somewhat “hidden’-you need to browse the net well just to come across your website). More power to you sir. Just a question here. As you mentioned earlier, we are buying some 300+ Aim 9 Ls which is a bit on the high side. If the selection for the “Lima” was on a budgetary basis, then why are we buying so many? We could have bought a fewer number of Aim-9Ms or an even a fewer number of the “X-ray” variants. But as you said the “X” isn’t compatible with the Geagle, at least not yet. You can’t seriously challenge the PLAAF’s MKKs or even the newer “J” series fighters with only G-Eagles armed with “Limas” So I’m thinking maybe they are intended for Drones or the older J series fighters. Also since 1977, there have been numerous advancements in countermeasure technology and IR signature reduction methods. I remember seeing F-15 Raam’s on CNN pumping out flares that explode in midair. This could be one of those new IR countermeasures, will the Lima still be considered effective against these types of defenses, or are we better off buying half the number of “Mikes” with the same budget? We really can’t say for sure why are buying the Limas instead of the Mikes at this point. I will give the PhAF the benefit of the doubt that if given the choice, they would’ve gone for the Mikes but its just not available due to one reason or the other. As for what their intended target, I think they definitely are for self-defense against China’s fighters. Like it or not, they are what we have at the moment. This is pure speculation on my part. Perhaps the large quantity of Sidewinders being purchased will be eventually shared with whatever multi-role fighter is chosen. And let’s not forget about attrition, as some rounds will be expended in live-fire training. Think something similar to the “William Tell” exercises the U.S. Air Force holds. We could have bought a fewer number of Aim-9Ms or an even fewer number of the “X-ray” variants. But as you said the X isn’t compatible with the Geagle, at least not yet. I remember seeing F-15 Raam’s on CNN pumping out flares that explode in midair. This could be one of those new IR countermeasures, will the Lima still be considered effective against these types of defenses, or are we better off buying half the number of Mikes” with the same budget? I wonder why the DND is planning to purchase these missiles considering that it is highly outclassed by the Chinese PL series. Could it be the price? They are due to be phased out already because foreign governments have placed massive orders for the newer Aim-9x so basically they’re looking for third world countries to dump these obsolete weapons to. I hope they’re upgradeable to the Off-Boresight verisons. The AIM-9X are so prohibitively expensive as of now at over a million dollars per missile, hence even rich countries couldn’t buy them in the hundreds like they used to with other missiles. Hopefully the Python 5 is cheaper and more affordable. As for the AIM-9L ordered for the FA-50s, its because these are the only SRAAMs qualified for the FA-50 right now. They also could be used on a lot of other platforms, ranging from the AS-211s, OV-10 Broncos, etc. giving them some sort of a self-defense capability against fighter aircraft. If nothing else, these can be used to shoot down targets of opportunity like transport aircraft, helicopters, etc. Hmm… I can give you 2 informations. The first one is, maybe FA50 for PhF has a better ‘Range Each Aircraft Can Detect Each Other’ (Or simply Detection Range) then you expected. It will be about 100km, can be comparable with KF-16. 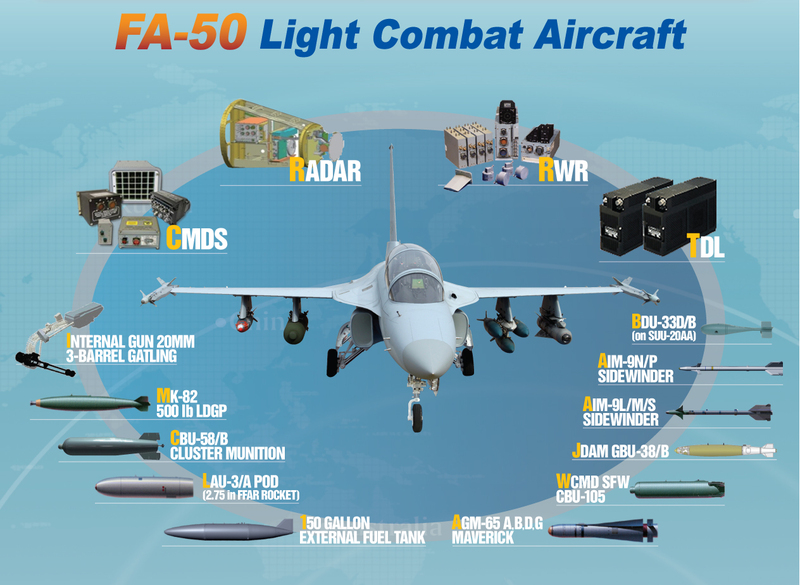 (the latest F-16 in korea with AN/APG-68) There are significant defferences between TA-50 and FA-50, also in Rader. I heard they are using the same named Rader ‘EL/M-2032′ , but there are specific defferences. (Source from korean millitary website) (EL/M-2032 for TA-50 has only 70km detection range, but EL/M-2032 for FA-50 has 100km detection range.) And the Second one is FA-50 for PhAF can afford to use AMRAAM, because Ph Govt want to use AMRAAM, (Ph Govt task it as a their MAIN combat aircraft) and it is known as a requirement of the contract. The reason why FA-50 CANT use AMRAAM for right now, is there are ‘license fee’ issue between korea and US. The manufacturer said if KAI want to set AMRAAM to FA-50, KAI must pay about $27,000,000 to them. And the KAF didn’t want to pay for this issue, (Bacause of the task of FA-50 in KAF.) This ‘pay’ issues is a only matter that FA-50 to use AMRAAM, there’s no other hurdle. So, I can guess, FA-50 for PhAF can use AMRAAM, with enhenced EL/M-2032 rader which has 100km Detection Range. p.s. I’m a korean, so whole of my source is from korean press or korean millitary websites. I just found here while ‘googling’. Hope it was helpful. michael, thanks for sharing some information about the FA-50. What I would like to know is what is the Radar Cross Section (RCS) of the aircraft that the FA-50 can detect at 100 km? If you can find a good Korean source for this information, I will be very happy. And here we were always thinking that the 52% down-payment and 2-year window for parts replacement were the ones holding up the contract when the real culprit was Uncle Sam making a big tantrum about Korean and other countries’ defense industries undercutting the sale of their own expensive equipment. I did remember about jokes circulating around about these planes supposing to have AESA and provisions for AMRAAM but the US refused these enhancements because some enterprising Philippine generals might sell it off to the Chinese. The journalists were screwed big time. These military men are so sneaky I think they really enjoyed throwing everyone off. Let’s not be too quick to making hasty conclusions based on information found on the internet. It may, or may not be true, but unless a credible source confirms it then just take it as a grain of salt. Its not that I don’t believe you, michael, and I am sure the FA-50 can detect targets up to 100 km, but it all depends on the size of the target also. If its a large target like a bomber-sized aircraft with a large RCS of around, say, 50 m^2, then it is “easier” to detect by radar and thus can be seen up to 100 km away. But for smaller aircraft with smaller RCS, then of course the FA-50 will only be able to detect it at a nearer distance. Yes, the FA-50 also has a good secondary combat capability especially in the ground or surface attack role owing to its F-16 lineage and its good Air-to-Ground radar capability, and in fact I have a blog planned to discuss that once the contract is signed. By the way, can you help me with something? On the picture below, there is a figure of a MIG-23 aircraft, and on top of that aircraft, there is a Korean character there. Can you translate into English what that Korean character is? http://bemil.chosun.com/nbrd/bbs/view.html?b_bbs_id=10040&num=77818 maybe this one is the one that you are looking for. Unfortunately, written in korean, the mention in last picture shows -“레이더 탐지거리 100km 이상 (F-16 동급)”- korean government guarantee to media that EL/M-2032 for FA-50 has minimum 100km detection range, as same as F-16. And the informaton that you have (about 46km detection range) is only for MIG-21 in 1993. Yeah, but the 46 km detection range is specifically for the ELM-2032. I have 2 other sources which says the same, that the detection range of the ELM-2032 for a 5 m^2 target is only around 46-47 km. But if the ELM-2032 used on the FA-50 is an improved version, then it is possible its detection range is farther, although it seems KAI will not directly say exactly the detection range per RCS of that improved version. Pareho yung picture ng sinulat ko. Based on same situation, 100km ang detection range. Pero walang mention sa RCS condition. Kaya, sa palagay ko, with an ordinary standard condition. http://bemil.chosun.com/nbrd/bbs/view.html?b_bbs_id=10040&num=66630 Depends on this article, you may find this part. ‘3. FA-50 레이더 관련’. It’s about the rader of FA-50, and their conversation was in DAPA meeting, (Defense Acquisition Program Administration Meeting), / Q. Is that the true that Rader of FA-50’s detection range is about 100km? (5m^2 / 53.9NM) / A. (KAF taskforce staff of F-X, KF-X, FA-50 business) It’s difficult to answer. (Because it’s one of the military secret.) There are numerous of standard to judge the detection range. / Q. Ok, if so, can you just tell me is it same like KF-16’s? / A. Yes, FA-50 really helps KAF to breath for right now (despite of recently delay and failure of KAF’s plans.) / So I you may suppose, EL/M-2032 for FA-50 can detect 5m^2 object at 100km point. And about the AMRAAM, yes, it can’t be operated by FA-50 for now, but It will be operated. I guess Ph Govt include the payment for installing AMRAAM to FA-50 in their contract. Thanks for the translation. I tried Google Translate, and it is not as good. So this again sorts of confirms the improved range of the FA-50’s ELM-2032. Its not that useful, though, without BVR missiles. Will KAI pay the licensing fees for the AMRAAM, then? Even so, I am not so sure if the Philippines can afford AMRAAMs. What only I can tell you about AMRAAM or Derby or any other weapons, if KAI or Philippines want to install each kind, they should pay for ‘integrate fee’ to LM. and it is widely believed among the korean, that philippines Govt ask to ask to integrate AMRAAM to their FA-50, so that operate AMRAAM for PhAF. There are mouth to mouth source about this issue in some korean website. I guess, Philippines Govt are just hesitate to anoounce about the specifics of their own FA-50 and this contract. Sa tingin ko, they don’t want to STIMULATE china just for right now. For case of Iraq, they also sbought FA-50, but they are still calling it T-50. (Not a fighter) Even though, their T-50Iq’s specitics are very similar like FA-50 and also ARMED. If true, then this is bad news indeed. There’s a rumor that china strongly oppose the plna S.korea to export their FA-50 to Philippines. And here’s some source. http://news.kbs.co.kr/news/NewsView.do?SEARCH_NEWS_CODE=2742485&ref=S Depends on it, Japanese press ‘yomiuri’ reported that china oppose the contract between S.korea and Philippines. And finally the bluehouse (presidential palace of korea) said ‘there wasn’t official requestion from china about the contract, but we can’t comfirm about the non-official requestion.’ So, we can guess there would be a requestion from china. We know that china don’t want philippines be armed with flights, frigates, destroyers or stuff like that. Kaya, I think, kahit ano ang pangalan ng FA-50PH, parang FA-50 yung FA-50PH. 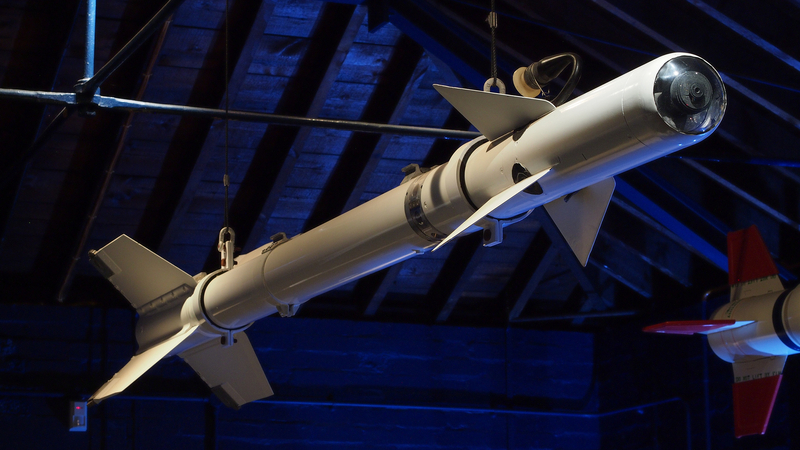 And about the AMRAAM or Derby, it’s not so hard to integrate these kind of BVR missile to FA-50, (Because FA-50 is one of the successor of F-16) wether the license fee is included in this contract or not, they can operate it after they pay for the integrate fee to LM. If Ph Govt want Derby, then they just simply pay for it. (Now or somewhen in the future.) Then, KAI is gonna integrate it FA-50’s system, and help PhAF to integrate it to their own’s. I heard, software update lang (yung process ng integration) ang kailangan. I really don’t know how it goes in the future. It depens on PhAF and PH Govt’s desisyon. technician’s -> technicians. and maybe there are more (few) mistakes, but i think it cant disturb you to understand my post. Following the source, currently KAF has a plan to enhance F-50’s Weapon Magnagement System. So we can assume these weapons will be intergrated into FA-50 in near future. I’m not sure that this enhancement can be also applied on FA-50PH, but likely. So there would be 3 ways of option between KAI and PhAF. If Ph Govt doesn’t have enough budget for the extra payment, then they just exclude it. But In my opinion, It’s not likely. They have strong needs of fighter which can defend their sky, so without BVR missile, they aren’t willing to sign the contract. Despite of my personal opinion, there are some probability, If they are gonna use FA-50 just as a LIFT or AJFT and ground/surface attacker. 2. Plan to integrate AMRAAM or Derby into FA-50 and include the payment in the contract. As I told you before, there is a rumor that PhAF ask KAI to integrate it into their FA-50. And if Ph Govt already decide to pay for it, then it makes sense. 3. Just wait for KAF or KAI to integrate AMRAAM or AIM-9X. then they just decide to wait. It sounds like number one, but the defference is, in this case, that Ph Govt willing to pay for it in the future, if it’s needed. or at least with a resonable price to get it. AIM 9X BLK2 can be used as a replacement of Python-5 or AM-120B, as a BVR weapon. By the way, this will be the last post for me until they officially sign the contract. It is still good CAS (Close Air Support) Jet. Even for KAF, FA-50 is a superior replacement of F-5, so it can serve same task for PhAF. but FA-50 is still useful for PhAF, not only as a LIFT but also as a patroler, secondary fighter, ground attacker, surface attacker. If it’s provided with BVR missile capability to Philippines ? That will be a GREAT news to you guys and PhAF. Pero kung ganoon, parang kawawa ang FA-50PH..haha Bibigay nila ng sobrang madaming tasks..sa isang LIFT, Fighter, Attacker, Patroler.. etc. I am the one who are feeling ‘sayang’ about KAF’s FA-50 plan. I think FA-50 still has a lot of potential to be enhanced, but Korean Govt doesn’t want to spend money for it. installing dual luncher to make FA-50 have 12 + missile capability and change the rader, EL/M-2032 to EL/M-2052 AESA. All of these are known as a possible plan, only tiny hurdles are in front of it, except budget. And furthermore it have a competitive price….anyway it can’t be come true because they stopped the plan to enhance it. I wish FA-50PH be a useful stuff to PhAF. If everything is going well, then it can be armed with ‘proper’ rader to detect chinese flight, also with AIM-9X or AMRAAM or Derby. Then, still, it isn’t a superior fighter, but can be a Multi-Roll fighter with a reliable Air-to-Air ability and quite good in Ground/Surface task. The PhAF intends to use the FA-50 as an Advance Jet Trainer (AJT) and as an Attack Aircraft as its secondary role. I think the FA-50 will do well in that role. The FA-50 is qualified for the JDAM, and a couple of other weapons: https://rhk111smilitaryandarmspage.files.wordpress.com/2013/11/official_fa-50_weapons.jpg. As for the other more exotic weapons like the AIM-9X, since KAI has not given any timelines yet on when the FA-50 will be qualified for those, I would not hold my breath waiting for them and just work with what the plane is qualified for now. Good point. But we will still have to buy the launchers, radar and fire control units. Any updates on these sidewinders for our FA-50?